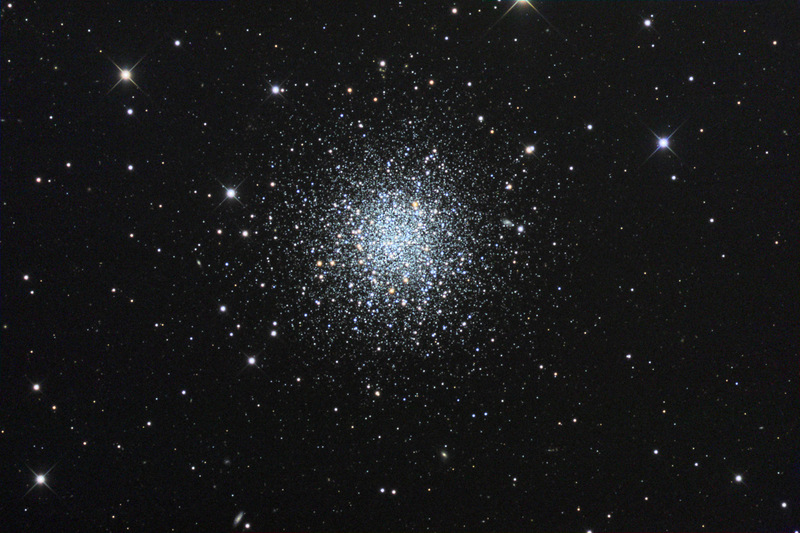 Description NGC 288 is a bright (magnitude 8) globular cluster described as large (13.8 arcminutes), loose, with stars of magnitude 12 thru 16 and only a small central condensation. An easy object for a 6" telescope, it is located 1.8° south-east of the Silver Coin galaxy NGC253, and 3.1° NNW of Alpha Sculptoris. The distance to NGC 288 is approximately 30.000 light years. Click here or on the image to see NGC 288 in higher resolution. The field of view is 37 x 25 arc minutes. North is up (0°).